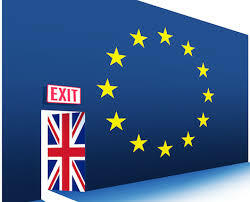 On 23rd June 2016 we will be able to vote on whether Britain should ‘Leave’ or ‘Remain’ a member of the European Union (EU). The two campaigns, remain and leave, appear to be adamant, one way or the other, that the alternative view will be disastrous but both positions appear to lack a clear principled argument of why their way will be a great and progressive way forward in the long term. The lines of support do not follow party political lines with senior member of the 2 main parties having differing allegiances within their parties, but leaders of the Tories: David Cameron, and Labour: Jeremy Corbyn, are both strongly in support of retaining membership of the EU. The ‘Remain’ campaign has used the slogan ‘Britain Stronger In Europe’ and emphasise the benefits of free movement within Europe for EU citizens, good trade agreements with European partners and more security though increased co-operation with other countries - united against terrorism and organised crime etc. It is recognised by many that there is difficulty with the EU being able to overrule the laws of individual countries but reconciled as if the EU were politically neutral and that it holds the elites in check with laws that support employment rights, environmental initiatives and human rights through the European Court of Human Rights (ECHR). Whether there is anything constructive or positive about these issues is a subject for another debate. It has also been argued that being in the EU gives us a better chance of negotiating better terms, but, in recent weeks we have witnessed the difficulty David Cameron has had in negotiating even quite small details of the EU constitution. Therefore, it looks unlikely that there can be any greater strikes for increased freedom and democracy anytime soon under the present arrangement. For the governing elites, the EU gives them a sense of legitimacy and absolves them of responsibility in implementing rules and regulations that may not be popular, for example, meeting carbon reduction targets even if they are not good for business or production. The ‘Leave’ campaign say that the EU is too expensive, bureaucratic and denies us sovereignty to determine our own laws. The EU requires payment by the member states which for the UK 2014 -2015 was estimated at £8.8bn. Many ‘Leave’ campaigners have concern that the EU allows too much free movement of EU citizens particularly with expansion of the EU over recent years to include less wealthy countries with a more diverse range of cultures and traditions. The migrant and refugee crisis of 2015 has caused a great deal of tension between countries as they try to negotiate quotas of people to be accepted. One party that is united in its intention to leave the EU, is the United Kingdom Independence Party (UKIP), which has risen in prominence in winning a significant number of votes across the UK. However, at the last election it failed to get enough votes in any one constituency and therefore had a disastrous election result. It won only 2 seats in the UK and the charismatic leader Nigel Farage lost his own seat. UKIP in their desire for independence and misguided notions that the borders are too relaxed and need to be controlled, are thought by many to represent the politics of the right and are instinctively rejected by those who identify themselves with the left. It is noted that Politics has changed over the last 25 years, with the collapse of the Soviet Union and the reunification of Germany, and Left / Right associations in politics no longer mean what they used to be. I have noticed that many want to identify as left wing have come out in support of the Remain campaign and I'm intrigued to know if it is because they are uncomfortable with a political position that is closely associated with UKIP. 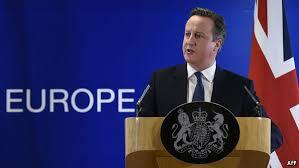 The European Economic Community (EEC) or ‘common market’ was created in 1957 with the treaty of Rome. There were six founder members, Belgium, France, Germany, Italy, Luxemburg and the Netherlands. It was created in the era following the Second World War with the intention of forming a union for peaceful trade and co-operation between countries in contrast to the Nationalism that arose from competing Nation States. The UK joined the EEC in 1973 along with Denmark and Ireland and in 1975 a referendum was held with over 67% of voters supporting the Labour Government’s campaign to stay in the EEC. Now there are 28 counties in the European Union (EU) with a wider range of differences in governance, prosperity and development than ever before. Last year Greece was unable to make the payments to the EU, and having an economy on the brink of collapse it requested that the EU bail it out and re-negotiate the terms of their loans. The EU has intervened to impose terms which have resulted in greater austerity measures and installed experts to positions over and above elected representatives, and against the will of the electorate. Despite mass protests in Greece over the EU intervention, there has been little criticism of the EU’s authoritarian approach. My view is that we need to distinguish between relations with the countries of Europe and the bureaucratic entity which is the EU. I am in favour of the idea of Europe, and greater co-operation for trade and exchange, and for open borders for all people and not just EU citizens. Also, that we should vote to leave the EU and reject it’s authoritarian overruling of those who, whether we support them or not, have been elected to represent our interests. Leaving the EU will not solve the problem of a diminished democracy, nor will regressive regulations be abolished overnight, but it will give us the chance to make the case for greater freedom and democracy and hold to account those who represent us to bring about a progressive, democratic a free society.